The Ford Transit passenger wagon is a top choice with consumers at our dealership. 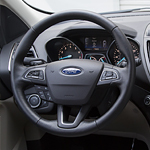 At Candy Ford serving Charlotte consumers, we like to keep our customers informed about the features that come with our models, so we welcome you to read further to learn what technology features this impressive passenger wagon has to offer. 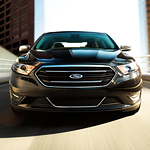 One of the outstanding Ford Taurus interior features is a 12-speaker Sony sound system. The sound system is designed with Clear Phase technology that ensures static-free reception and a consistently crisp sound. In addition, the interior features of the Ford Taurus include an outstanding ambient lighting system. 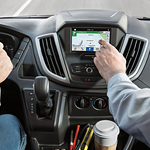 If you're consider your options for a cargo or passenger van to drive around Charlotte, don't look further than the new 2019 Ford Transit Connect. Candy Ford can show you all of the unique safety features that that will help you drive with confidence. The Safety Canopy airbag system is designed to keep everyone in the van protected if there's an accident. The side-curtain airbags will protect the heads of the outboard passengers by deploying in an downward and outward direction. They will not affect the safety of any booster or child seats. 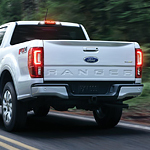 The Ford Ranger is a new midsize pickup truck that offers some great performance, stylish interior features, exciting amenities and a body that’s built to last. When you see the new Ford Ranger, you’ll instantly understand their motto of Built Ford Tough®. Come to Candy Ford and check out the new Ford Ranger. 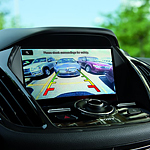 Whoever said that compact cars don't have great technology clearly hasn't seen the new Ford Focus. This popular car is available at Candy Ford with the innovative SYNC 3 infotainment system. It will transform your daily commute by keeping you informed and entertained on your drive. When you get behind the wheel of your new Ford Escape, there are some great driver-assist features that will make your trip much more convenient and comfortable. Whether you are driving a short distance to work each morning or on a longer road trip, the Escape has so much to offer. From FordPass Connect to Ford+Alexa, this is one smart vehicle. Wi-Fi Hotspot technology and SYNC 3 are also included. The Ford EcoSport is the ideal small SUV or crossover vehicle for any driver who does not want to sacrifice style for performance and reliability. This premium vehicle knocks it out of the park when it comes to presenting a sleek design and sporty feel. 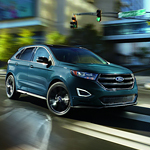 The all new Ford Edge has been turning heads. Drivers say that the all new midsize SUV is a pleasure to drive. This is because Ford has packed a ton of features into the new model. This includes all new driver assistance features to pump up the safety, including sensors and cameras that will make it easier to check your blind spot and avoid drifting into lanes. There's also new technology and connectivity features to make it that much easier to drive with convenience and confidence. With all of the vehicles on the market, one thing you have to think about is the type of choice you are making. Even some vehicles can be a smarter choice than others. 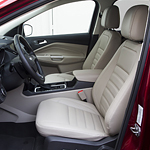 We at Candy Ford believe that the 2018 Ford C-Max is a smart choice for the features that make driving an easier affair.